John Phillips, Getty Images / Warner Bros.
Just in case you forgot, we’re getting another movie based on Dr. Seuss’s immortal holiday classic How the Grinch Stole Christmas pretty soon. And also just in case you forgot, said title character is going to be voiced by none other than Benedict Cumberbatch. 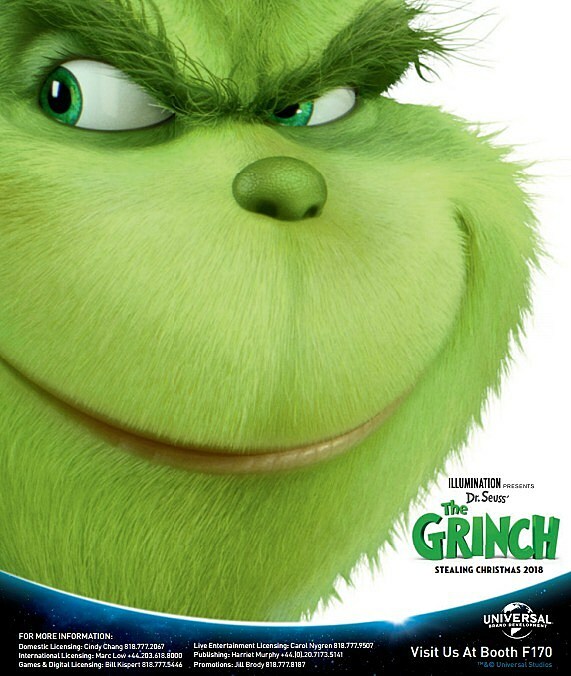 And said Grinch movie now has its first official, extremely fuzzy promo art. How the Grinch Stole Christmas is a classic story, made even better by introducing timeless holiday standard (at least in MY house) “You’re a Mean One, Mr. Grinch” into the world. The original 1966 animated movie is a tough act to follow, but it’s good to see that Universal is opting for animation in favor of live-action (which Jim Carrey’s 2000 version attempted, to mixed results). This art is certainly true to Dr. Seuss’ green, furry style, but, I dunno, he looks maybe too cute? The previous animated version was actually pretty scary looking, but maybe Illumination is opting not to frighten the kids too much with this one. How the Grinch Stole Christmas is scheduled for November 9, 2018.